The best way to decrease the clutter and streamline the interior of your living room or den is to install a custom TV console. A TV console helps you keep your electronics and wire cables neatly organized. Additionally, consoles or TV stands form an integral part of your home's decor. This is why a bespoke TV console is better than a stock console. When shopping for a custom made console there are several factors that you need to consider. Here are 8 tips on choosing your ideal custom made TV console. The first step towards choosing the perfect custom made console for your home is measuring your television set. Ensure you measure the height, width, and depth of your TV set. The specific dimensions of your TV will be used in the crafting of your custom console. If you own an old version CRT TV set it is important to note that such types of television sets require a large console. The larger console is required to accommodate the boxy nature of such television sets. On the other hand, modern flat screen television sets are wider than their older CRT counterparts and but do not have much depth. Therefore, flat screen TV sets require a console that is wide. Custom TV consoles are designed to meet a client's needs and preferences. In this regard, the height of your custom console will depend on your preferences. Also, the height of the console will depend largely on your preferred seating position either in your den or family room. Depending on the size of your TV settle on a height that puts the TV's lower half of the screen at the same level as your sight-line. The height of your console will also depend on the height of your TV. As such, it is important that you get a console that will accommodate the height of your television set. A standard custom made console will be fitted with shelves for storing different items such as DVD cassettes and VCR tapes. Also, shelves can also be used to store electronic appliances such as Blu-ray players, cable boxes, and VCRs. As such, there is a need to consider the number of shelves you will want on your console. If you have only a blu-ray player one shelf will do just fine. However, if you have different appliances to store with your TV you will need more shelves. For example, if you have a stereo system, a video game console, records etc you will require more shelves. However, if you are TV watching habits are that of a casual movie and TV watcher the circular back panel found in most TV consoles will be sufficient for hiding your TV cords. Contrastingly, if you have a home theater system to integrate with your TV set you will require a console capable of accommodating your home theater appliances. 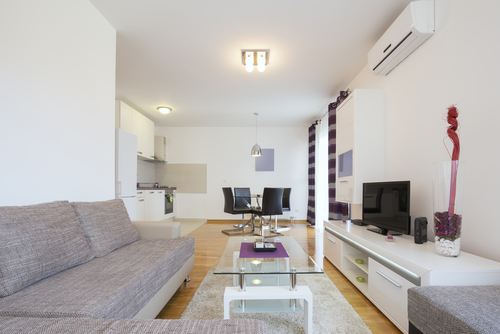 The type and size of your TV console will depend on the size of your apartment or home. Since the main function of a TV, console is to de-clutter the interior of your home it is important to go for a console that will fit in your home. Thus, if you have a small apartment, a large TV console will look squeezed and out of place. This might have an adverse effect on your home's interior decor. Sometimes you might want to move your TV from one place to another, either when you want to clean or when you want to bring the TV closer to you. In this regard, you will require a TV console that is easy to move around. Normally, TV consoles are designed to be static. However, there is always the option of requesting a custom made TV console with wheels. Such a console will be easier to move. An immovable console will work best if you plan on having your TV in one place throughout. The main benefit of purchasing a custom made console is that you can play around with its design. This means you can order a unique design that blends perfectly with your home decor. Therefore, one of the things to consider is the design of the console. With custom consoles, the number of designs to choose from is only limited by your creativity. Thus, if you are not a fan of traditional console designs you can get creative and go for a zig zag console. The zig zag design is unique and does not take up too much space. 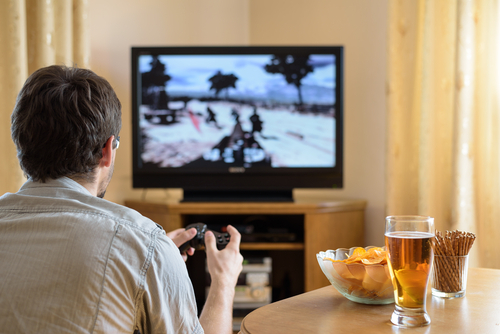 Similar to other furniture pieces , most customs made TV consoles are made from either wood or metal. The material used in the making of your console will depend on your preferences. However, it is important to note that different materials react differently to different climatic conditions. Since Singapore has a tropical climate with moderate temperatures and no seasons, both metal and wood can be used in the making of custom consoles. While wood is easier to clean than wood, the latter is naturally appealing. Also, wooden consoles tend to be costlier than a metallic console. Also, wood comes in a wide variety of selections. TV consoles can either be wall mounted or cabinet like. As the name suggests wall-mounted consoles are mounted permanently into a wall. Therefore, they are not ideal for persons residing in an apartment. However, if you reside in your own home a permanently installed TV console might be an ideal option. 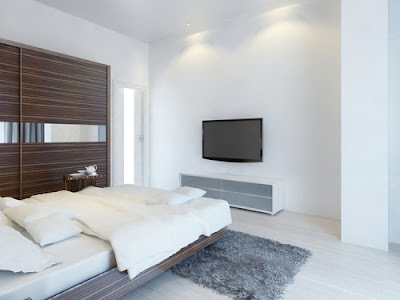 This is because in an apartment there is always the likelihood of moving and it is not easy to move with a permanently installed wall mounted console. Thus, the TV console that you settle on should be easy to move with if you live in an apartment. In conclusion, there is a wide selection of custom TV console designs to choose from and it will all depend on what you need and prefer. In addition, the right console will go a long way in accentuating the interior decor of your home. The kitchen is among the most significant places at home. It ensures that people get food every day. A kitchen keeps away cooking activities and equipment from other family members. It avoids the mixing of things at home that could lead to a loss. It also ensures that cooking activities are that other people in at home, who are not taking part in the cooking, are interrupted in whatever activity they are doing. They are thus important rooms at homes. With that in mind, it follows that the kitchen should be well designed and maintained. It should fully be rightly equipped and furnished. 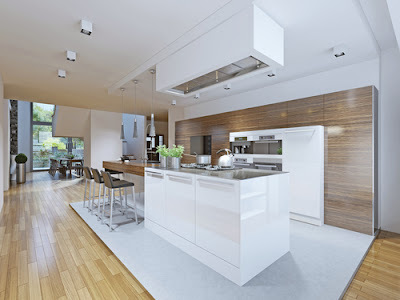 · Kitchen cabinets are essential for the maintenance of the kitchen. They ought to have the best combination of features to make the kitchen attained the desired standards. They should be customized by the user’s preferences. They should accommodate all the things in the kitchen that are to be stored in the drawers. Some features that can guide one while choosing kitchen cabinets are discussed below. · The cabinets should have good drawer slides. 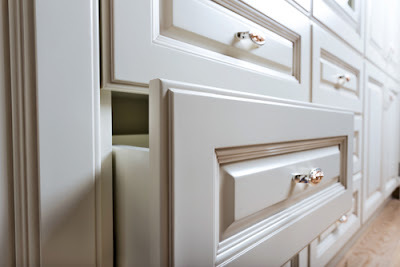 For putting or removal of items from the drawers in the cabinets, there is a need for easy opening and closing of drawers. They should be able to move freely without being stuck in a way that requires more force to be applied or in a way producing a scratching sound. The slides should as well be in a position to carry the entire load that will be put in the drawers. · The cabinet doors would work well to avoid the contamination by flies and other organisms if they were fixed to be self-closing. The feature would be made in such a way that it requires a gentle push and then the door can close itself tight. In addition, to ensuring no flies or insects is getting into the cabinets, they also nullify the need for slamming. Slamming can cause breakage of the doors as well. 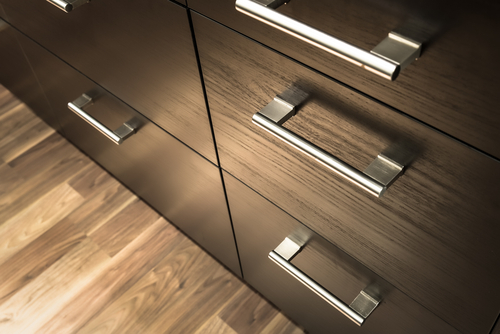 Drawers also require being self-closing to that they do not block the cabinet doors from closing itself. They are convenient since the owner does need to close them personally. 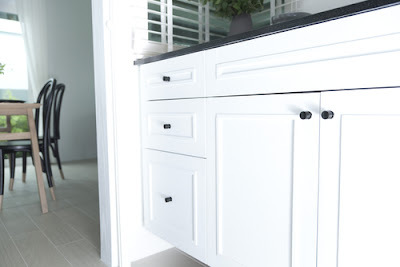 · Kitchen cabinets work best when they have pulls and knobs. Opening and closing of the cabinets should be made easy for the user. The doors should be fitted with knobs and pulls that will enhance opening. Knobs and pulls are made from a variety of materials. They can be made of metallic, plastic, rubber or wood. They take different shapes so the owner can select according to their taste. 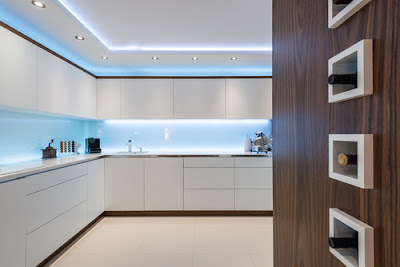 · When choosing kitchen cabinets, one should also consider their lighting. Well-illuminated cabinet brightens the space. It also makes the location of items in the cabinet easy and thus saves time. The light also makes the cabinet appealing. The lighting system should not compromise the capacity of the drawers or the cabinet. For example, they should not be fitted with bulbs that utilize a lot of space and thus reducing the capacity of cabinets. Lighting should be power saving and cheap to install. · In cases where a large cabinet is required, it should have pulled out drawers. 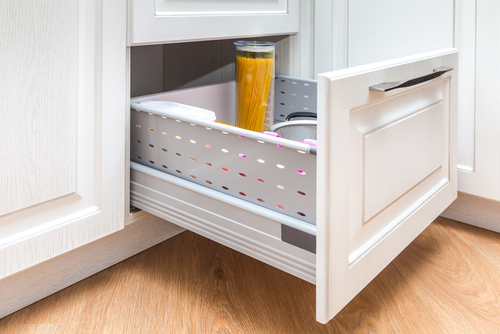 Pull out drawers can be advantageous in that they do not require one to stretch their hands or kneel down in the attempt to reach out items at the backspace of the drawers. When one needs to get out such items, they can easily do it by pulling out the cabinet to get them. 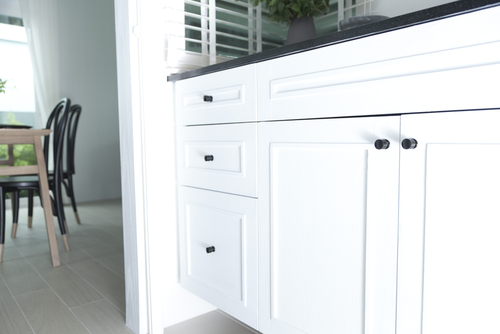 · Some cabinets are fitted with drawer pegs. The drawer pegs are made to be heavy-duty. They used to stop the items from moving around. The pegs are particularly useful for cabinets that have pulled out shelves. Items may at times fall off causing spillage or breakage when the drawers are pulled out or pushed in. Such problems can be prevented by the use of drawer pegs. · Shelves to be used for storing wines and similar drink containers should be fitted with racks. Such racks should be mounted in the lower drawers or shelves for the convenience and safety of the contents and convenience of access. · Another feature that can be used in kitchen cabinets is the lazy susan. They are circular fittings that are mounted inside the cabinets. They are commonly put in the far-end or corner spaces that are not easy to access. They help the user to bring items from the back to front and thus make them easily accessible. The feature also helps in reducing the space wasted since many people would opt not to put items where it is not easy to get them out. · The cabinet should allow for easy cleaning and maintenance of high hygiene levels. The material making the cabinets should not be hard to clean such as when some products spill on them. How the corners are shaped determines how easy it will be clean them. 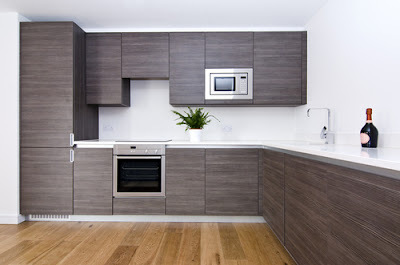 · It is always prudent to purchase a cabinet that is in line with your home design. The house looks organized and well planned when the design is uniform. The colors, as well as the shapes for your home, should agree. 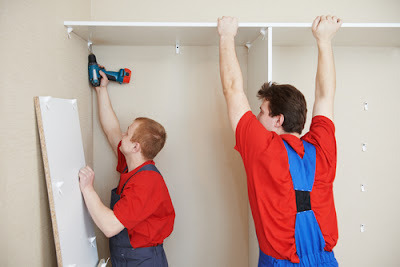 For the inbuilt cabinets, it just requires proper instruction at the time of construction. For readymade cabinets, the selection should be made carefully to ensure consistency in design. In addition, the cost is a factor that cannot be overlooked. The cost should be friendly. The purchase cost should be low, and they should be able to last for a considerable duration of time. One should avoid the purchase of cabinets that are highly fragile to reduce the risk of breakage. They should be cheap to maintain. 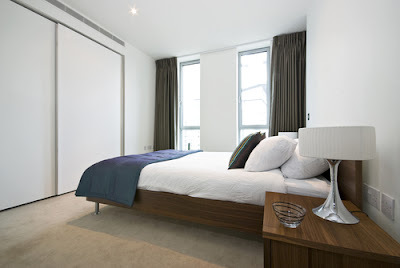 The homeowner should do research to come up with the best furnitures and fittings. The research should be subject to the internal factors such as budget, space available and the number and sizes of items in a room. They should as well consider the durability, design, and additional features of the furniture and fittings. Everything put or fitted in a room should improve the utility of the room; it should ease the working as well as the safety of items. When you buy a new home, then you get everything that is new, in good condition and look good to you. But after few years of rigours use, things start fading and those things don’t look as bright as it used to be. Also, over a period of time, thing get damaged and you find it almost impossible to have a comfortable life without investing a good amount of money in the renovation work. 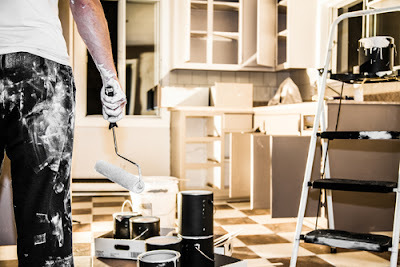 There is nothing wrong if you are investing money in the remodelling or renovation work, but it is essential that you do it in a proper manner. If you fail to follow the right procedure then you might not get the best result with it. 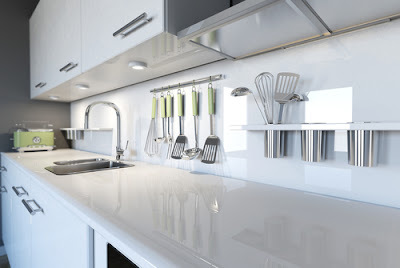 Here, I am giving you the ultimate guide on kitchen remodelling that will help you get great outcome and usability in your kitchen with great ease. Give time to it: In this guide, I will strongly recommend you to give time for the planning part. 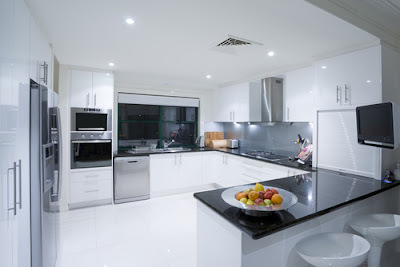 If you will invest a good amount of time in the kitchen remodelling planning, then you will be able to get a good result with it in an easy manner. In case you are wondering how much time you need to give for the planning of your kitchen remodelling, then six month is the ideal time for that. Experts always guide you to have at least six months of time for kitchen remodelling planning. In this time, you can carefully plan each and everything and you can include almost everything with ease. The best thing about proper planning is that you will get a good result and it will reduce the cost of work as well for you. Check your existing home: If you will buy a kitchen without proper planning, then you are going to have a negative result for same. For example, you buy an extra-large fridge and after buying it, you realise that you can’t get it inside your kitchen. So, it is a wise idea that you examine your kitchen and its current situation before buying the new equipment’s or gadgets for same. When you will buy appliances keeping the size in your mind, then you will not have any trouble installing it in your house. Keep the triangle free: In your kitchen, you always travel most between sink, fridge and your gas stove. If you have any kind of blockage or hurdles in this area, then you are going to have trouble finishing your work in the kitchen. To avoid any trouble, it is strongly recommended that you keep the area free. This free area will help you get the better result as you will be able to get better outcome having no troubles or complication in any manner. Evaluate the cabinet size: In your kitchen remodelling work, you must need to check the cabinet size and shape to get the better look at it. If you will have very big or small kitchen cabinet, then you might not be able to place all the things properly in your room. Also, you need to evaluate the height of your kitchen cabinet in the kitchen remodelling process. For this requirement, I would guide you to plan it according to your kitchen height. If it is more than 8 fit, then you can add kitchen cabinets up to the ceiling. 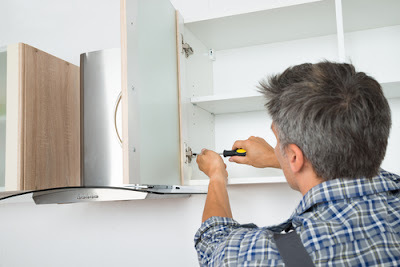 But if its height is more than that, then make sure, you do not go above this height else you will not be able to get the material easily from above cabinets. Check color scheme: Choosing color of your cabinet is another important thing that you will have to do for the better outcome in easy ways. 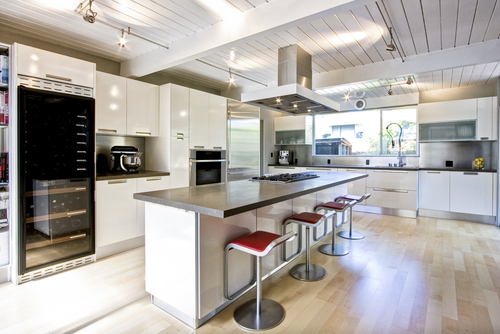 Ideally, you should use some colors that give light and brightness to you in your kitchen. Also, this should match with your home and its color scheme. If you will not choose its color in a wise manner, then you are going to have the only negative result and you will not be able to get any benefit of your kitchen remodelling. Hence, I would guide you to choose the color in a proper manner. Choose a good countertop: In your kitchen remodelling work, everything may change with wise selection of countertop. If you get a good countertop, then things can go really good for you and you can have a good look in your kitchen with ease. At the other hand, if you fail to get a good countertop, then you may never get any of the results. So, it is strongly recommended that you pay minute attention to the selection of countertop as well. It should be easy to clean, it should blend well with your kitchen and house and it should also have strength in it. These factors will help you get the good look in your kitchen with great result and you will not have any complication as well. Add some extras: In order to have a good result in your kitchen remodelling, it is also advised that you get few basic extra in your kitchen. These basic extra can include a trolley for your kitchen cabinet and similar other things. These minute things will certainly make a big impact for you and you can have a really great outcome as well. with some research, you can certainly get a lot of things that you can add in your kitchen as extras and you can get a really good result with that having no troubles at all. In addition to these things, you also need to remember that you do not try to add so many things to it. If you will add so many things, then you might not be able to get any good result and you will have only troubles or problems. Also, you should have a good budget to make sure you do not face any trouble in your kitchen remodelling work due to fund. Along with this, I also guide you to hire a good professional for completion of this work because if you will try doing it by yourself, then you may have the only poor quality result and you may not get a good look in your kitchen. In earlier time people used to have colored kitchen cabinets in their houses to enhance the look of their kitchen and home. 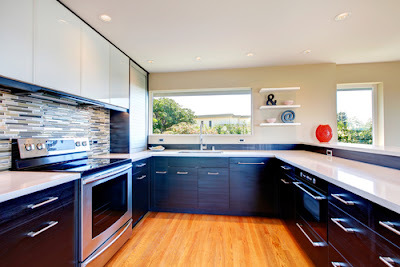 The same trend is back now and more and more people are trying to have smart colored kitchen cabinets in their houses. Some time back people went away from these retro themes and some dull colors that its place. But with the time change, the modern interior fashion changed backs the time and the colored kitchen cabinet becomes trends of 2016 again. The colorful cabinet becomes the latest trend and the range of colors are endless. But simple parameter of the selection of color should be based on your choice of colors and the present settings as well. don’t choose the shade only because of the trendy theme whether you should select some vivacious color you prefer. The colorful surrounding makes the cooking experience more cheerful and develops a great excitement also. Here we are sharing some list of colors that you can use in your home cabinets and multitude the kitchen moments. Grey: Many people consider gray as a dull shade and they want to go for some bright colors. But the truth is slightly opposite to this and it can add a great shine in your house and kitchen. Warm gray adds sophistication and great style to the kitchen. If you are making your mind for gray, then it can be prominent. The gray shade brings a magic to your kitchen cabinets and the great texture elevates the looks with ease. Blue: All the shades of blue are simply amazing and it can add a spark in your kitchen cabinets. It is one of the most favorite colors for so many people around the world. Also, in Singapore where I always remain hot and humid blue color can enhance the looks of the kitchen in a light way. Blue gives an energetic and refreshing style. White gives a complement to the shades of blue and this combination in kitchen cabinet brings a natural and coastal surrounding experiences. Orange: with orange we don’t mean to the 70s show room like kitchen. Orange turns the dull and boring kitchen into full of brightness and cheerful place of the house. The slight use of orange in the kitchen bring the feel of this shade as well that can help you deal with very hot and scratching days in summer. Orange color is alike purple that should be used wisely. To get an elusive poise to your kitchen, you may use orange with some lighter shades for your kitchen and you can give it a new look in 2016. Green: Green is the color of life and when you would have your kitchen cabinet in this color, then it can add life to your house as well. With green color, you can add some other color combination such as light yellow or off white color. These extra combinations can add a certain beauty to your house and you can have a fantastic and most amazing look in your house with the best possible manner. White: Many people get surprised after listening that white can be used in the kitchen cabinet. 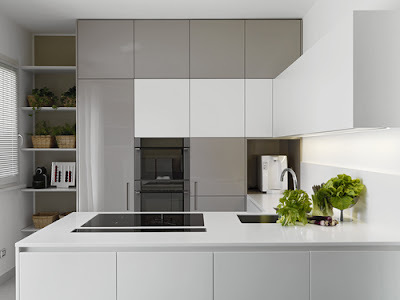 But when you explore some interior designs for your kitchen in white then you change your mind instantly. The most amazing thing about white color is that you can pair it with almost any color and it can enhance the beauty in your house. You can add the white color kitchen cabinet having some red pipes or blue stripes on it and it can give amazing beauty to you. Also, you can add more then one patter in it and you can get a good look in your kitchen cabinet. Black: Black might be not the most favorite color for many people but if you would use it wisely, then you can certainly add shine in your house with this color as well. To use the black color, you should use it only with kitchen cabinet and you should complement the kitchen with other colors. Also, you get the freedom to use color in various shade such as wood finish black, charcoal black. You can pair the black color with brown wood and you can also make a combination of black and white color. In fact, you can pair it with many colors and you can add a beauty and shine in your kitchen with lots of elegance in the simplest possible manner. Red: Red is the color of happiness, love and joy. That means if you would use the red kitchen cabinets in your house renovation, then you can have these feelings in the air. This could be the best choice for a newly married couple and for those couples as well that already lived a long married life and losing their strength and bonding. To enhance the beauty of your kitchen cabinet, you can pair red color with white stripes or some flower designs in clearly visible pattern or color theme and you can enhance the beauty with ease. Purple: violet or purple are the majorly used color for every setting. These are the stunning and classy shades. Undoubtedly these shades give instant visual richness and these shades stay in the modern trend for next few years for sure. If you choose purple for the kitchen cabinet, then the primary attention you should pay for the surrounding things for decoration. If you are fond of some unique pieces for décor, then choosing purple can be an issue for you. Yellow: Yellow is another amazing color that you can choose for your kitchen cabinet in 2016. Many people always underestimated the yellow color, but this can be available for you in so many shades and options. You can choose few shaded for your kitchen cabinet and you can make a good design with it. Also, you can combine it with some dark color such as maroon or cherry red and that will give a new height to the look of your kitchen and overall house as well.